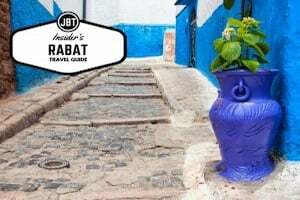 The standard itinerary Mirleft has to offer includes chilling out at one of the pristine beaches, taking long walks along the windswept coastline and ending the day with a fresh fish soup or an octopus tagine in a candle lit restaurant by the sea. Home to decent potential for outdoors activities, Mirleft tends to attract more the specialist crowds of Morocco’s tourism, like surfers, wind-surfers, hikers and rally drivers touring their way down to Dahkla. But it’s now starting to become more developed as more money is pumped into the region and more tourism is directed from Agadir and Marrakesh. Pistes leading to beaches are slowly becoming tarmac roads while beach resorts are popping up along the previously unspoiled stretches of coastline surrounding the town. 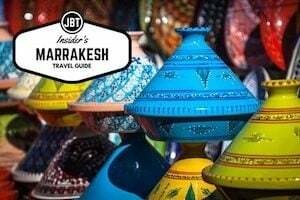 The best places to eat are found in the small local cafés serving up tagines and grilled fish using the catch of the day (popular is always a good sign). Hotels and restaurants on the beachfronts also serve up some amazing dishes, but tend to be a little more pricey than the local grills.There are a few surf schools dotted about the different beaches offering a fun morning wake up activity, while an old French Fort built by the Foreign Legion during French occupation overlooking the town makes for a nice afternoon stroll. It’s best to camp down in Mirleft for a few days and allow yourself time to get acquainted with the carefree spirit and tranquil setting, as opposed to just pass by with a quick visit to a beach. The more time you spend here, the more you will fall in love with it’s windswept, wild and rugged North African coastline. Most beaches aren’t signposted and not all locals will know the beaches by their French or touristic names. It’s best to rent some form of transport and explore the different pistes connecting the beaches and coastline for a day or two. 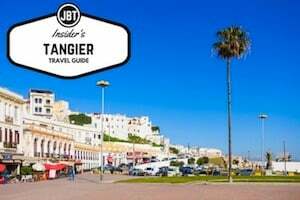 Below, we list our 5 favourite beaches in and around Mirleft, and of course, we’ve added Legzira beach (which is actually closer to Sidi Ifni, another very chilled out seaside town south of Mirleft) for good measure. We hope our directions to each beach will help you discover more of Mirlefts beauty during your visit. Pass the first cross roads as you enter Mirleft and take a right turn at the second crossroads next to the taxi rank. Follow the paved road past the police station (Gendarmerie) all the way to the beach. Known as the “main beach,” Imin Tourga lies only 1km away from the main part of town. It’s close proximity means it’s often the most popular. The beach itself is clean and well looked after, while the coastline surrounding it has a rugged and sparse feel. Despite it being a popular choice, it’s one of the most beautiful in Mirleft and our favourite of the more popular beaches. One of the best ways to admire it all is by walking the pathways along the coastline just besides the main steps down to the beach, which provide some stunning views back over the town and coastline. Pass the first cross roads as you enter Mirleft and take a right turn at the second crossroads next to the taxi rank. Follow the paved road past the police station (Gendarmerie) but don’t turn off for Imin Tourga Beach. Instead, keep following the road, which bears left and turns into piste. Follow through a section of broken wall and keep following this piste, it will eventually leads you to the beach. The last part of the piste taking you down to sea level is a little bumpy, but can be tackled with small car. A small, tranquil cove with a few beach homes and hotels built right up alongside the sand. The beach offers a beautifully secluded spot away from the town, which is within easy reach at the same time, making it a great halfway retreat. An old run down building looms over the beach from the northern coastline and an interesting rock formation protrudes the shoreline to the south. There is also a section of rock face which resembles a human face just around the corner from the cove (an easy swim). 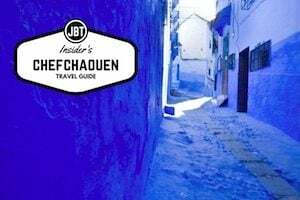 The restaurant Cafe des Pecheurs serves up very decent fish based menus using the catch of the day and is best visited in the evening when the whole cove is practically solely moonlit, with only a few lights from the buildings on the beach to distract. Drive through Mirleft and follow the main road as it appears to be taking you out of town. The road will dip down revealing a new area of Mirleft, which is built up around Marabout beach. As you descend with the dip in the road, you will see the beach on the right hand side and it’s unmissable large rock island and ancient tomb as easy visual indications. Named Marabout (Saint’s beach) after the ancient tomb located right on the beachfront, this is another one of Mirleft’s “main” and most popular beaches. It somehow looses it’s magic quicker than Imin Tourga when busy, perhaps because of the main road which runs right past the beach. However, it is still one of Mirleft’s most spectacular, especially in the early morning light. An interesting rock formation sits as an island in the centre of the sand and the old tomb built up alongside the beach certainly adds a lot of charm, perhaps even a bit of mysticism. Just on the outskirts of Mirleft (where the road levels out after a small uphill stint after Marabout Beach), look for a piste which appears to lead out towards the coast. Follow the piste until it comes to an end (the beach will now be in view) and climb down to the beach via the trail. Named the wild beach, Plage Sauvage is possibly the most beautiful spot which Mirleft has to offer. It’s also arguably the most tricky to find since there are no sign posts or easy visual markers next to pistes which lead to the beach. It’s not possible to drive all the way up to the sand and the climb down to the beach from the coastline gives it a slightly adventurous feel. This is a great beach for swimming and surfing, although take care due as this spot is very secluded and their aren’t life guards regularly patrolling this beach. It’s also perfect for getting away from it all with a good book or a relaxing walk along the shoreline. A trail connects Plage Sauvage to Sidi Ouafi, which is a beautiful afternoon stroll. Drive through Mirleft leaving the town behind you and head towards Sidi Ifni. Around 2km outside of Mirleft, the road will take a steep dip down into a small valley, with an old well at the base on the right hand side. Take a right turn onto the piste next to the old well and follow all the way to the beach. The favourite among surfers and possibly our favourite beach in Mirleft. The road leading up to Sidi Ouafi is an interesting walk or cycle, tucked down into a dip in the coastline away from the town. The beach is calm and very much unspoiled, with only a surf school hut to distract the eye (surf swell is good very here!). It is arguably the best spot for camping and if wild, untouched beaches are what you are seeking when visiting the Mirleft region then Sidi Ouafi and Plage Sauvage are certainly a good starting point. A trail connects Plage Sauvage to Sidi Ouafi, which is a beautiful afternoon stroll. Follow the R104 out of Mirleft in the direction towards Sidi Ifni. Legzira is located on the right hand side about 22km from Mirleft (and 10km from Sidi Ifni) and is well signposted. The most famous and popular beach on the list and for good reason; it is Morocco’s most unique. Unfortunately the second natural rock arch formation which made the beach famous has just recently fallen. But the first arch which has been eroded out of the coastline by winds and the tide still stands and will not fail to impress. There are other natural arches dotted about the stretch of coastline between Sidi Ifni and Legzira. 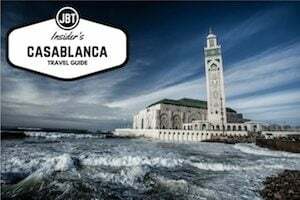 Technically, Legzira shouldn’t make this list as it’s closer to Sidi Ifni (another tranquil Southern Moroccan seaside town, with a history of Spanish Occupation and played a key role in the Western Sahara). For those who have time, it’s possible to walk the mesmerising 10km stretch of coast from Legzira to Sidi Ifni, where you will be able to see the other natural arch which is not accessible via the main beach (we advise taking a guide for this walk). The main beach itself is a stunning amble, with rugged, windswept coastline to admire as you walk your way up to the two the arch. Hotels line the initial stretch of the beach and a rather ugly resort has been built above, but fortunately they are far away from the arch and don’t distract from its natural beauty. 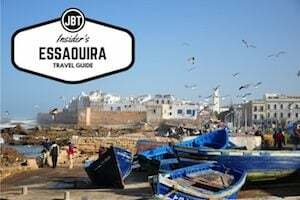 If you’d like to plan your laid back Moroccan holiday we can help you get started right away. Mirleft is just one of the hidden gems across Morocco and our team is ready to help you discover this side of Morocco.